A short period of time ago, I read that the St. Louis Cardinals are planning to take a “modern bullpen approach”, according to John Mozeliak. The approach would be a modernized usage of starters and relievers, which is presumed to be preventing starters(except for a few starters) from throwing a third time through the opponent’s batting order. My thoughts are similar, that the Cardinals should use a modern pitching usage, but taking it to the largest extremity. How about zero starters? All pitchers can be used at any point in the game. It is a possibility and it induces fewer runs and disrupts opponent’s batting orders. As denoted by these statistics showing times through the order. Offensive statistics get better the longer the pitcher remains in the game and pitching statistics get worse. Most pitchers will throw, at most, through the order one time, which would normally equate between 2 and 3 innings. 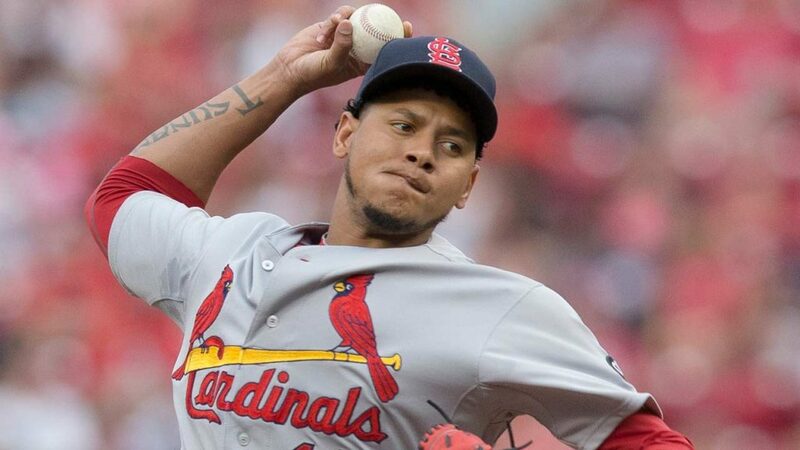 Some, like Carlos Martinez, Alex Reyes, or even a particular free agent signing or two, would be allowed to go through the order more than once. Here’s a key idea, throw the top pitchers when you NEED them. I believe the Cardinals should spend on two relievers. Juan Nicasio and Wade Davis. Reason being, the two thrive in generating weak contact and good amounts of misses on swings in situations where the tying/winning run is on deck or on the bases. Metrics like expected weighted On Base Average(xwOBA) and expected Batting Average(xBA) favor these two when put in close game situations. What makes the two stand out even more is that Nicasio and Davis were formerly starters, which means they are capable of throwing multiple innings in one outing. Now, we’re going to classify Cardinals’ pitchers into 3 different tiers. Tier 1 are the top-level pitchers, ones who can be thrown into pressure situations and thrive in them and can pitch through the order more than once. Tier 1 pitchers will throw the bulk of the team’s innings. Tier 2 are the mid-level pitchers, ones who can definitely throw through the order at least once, if not twice, depending on the game situation. Tier 2 pitchers have the opportunity to become a Tier 1 pitcher based upon their performance. Tier 3 are the remaining pitchers, not classified in Tier 1 or Tier 2. Before I classify Tiers, I will mention the innings needed to cover a MLB season. In 162 games, there are 1,458 innings. Let’s account for 22 extra innings during the season, which gives us 1,480 innings that pitching has to cover. Now, we’ll classify pitchers by Tier and their projected innings. The number of innings could very well vary for the 3rd Tier, based upon performance. Instead of having a usual starter, like Martinez or Reyes, start a game, they should throw in a crucial point in the game when needed. For example, if there are runners on base with less than two outs in as early as the second or third inning, bring in the top-tier pitchers like Martinez, Reyes, Davis, or Nicasio. Let them throw a few more innings, up until they face the order a third time or get into trouble more than once. There are many possible examples of a top-tier pitcher throwing a crucial two outs, then getting pulled the next inning. Example, say the Cardinals lead 2-0 in the third inning. The starter, or opener(like Wainwright, Brebbia, Alcantra, etc. ), as MLB Network Analyst Brian Kenny deemed it, has reached trouble and the bases are loaded with 1 out. Pull that pitcher and go to a Carlos Martinez, to get out of that close situation. Say the Cards tack on a few runs in the fourth, giving them a 5+ run lead. Now, based on win probability, the top-tier pitcher no longer needs to be in the game. Openers are usually the second or third tier pitchers that pitch at most 3 innings at a time. Then, if there were to be a rotation, then it could be a rotation of a third tier for 3 innings, a second tier for 3 innings, then a top-tier for 3 innings in any given order(except having the top-tier start the game). With this “rotation” it can allow for the top-tier pitchers to throw more even if the game is close. The 200 inning plateau can be eclipsed by Martinez. All in all, I believe that this pitching approach will make a huge difference in run prevention, as supported by the data. The Cards should take it to their advantage. The Cardinals should start the full-fledged “bullpenning” movement.